Today sees the launch of a pair of strange looking EVs from Goodyear. Yes the Goodyear Tire & Rubber Company today announced the launch of its new range of environmentally friendly 3-wheel vehicles in the UK and the rest of Europe. Created to be robust and durable, the range includes two vehicle models, Goodyear e-Go 1 and Goodyear e-Go 2. 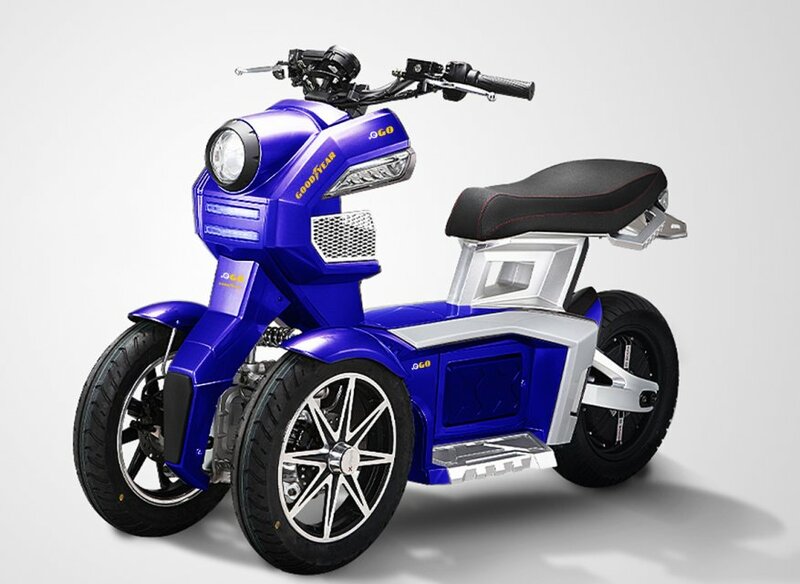 They provide an easy and dynamic ride with a strong urban functionality. 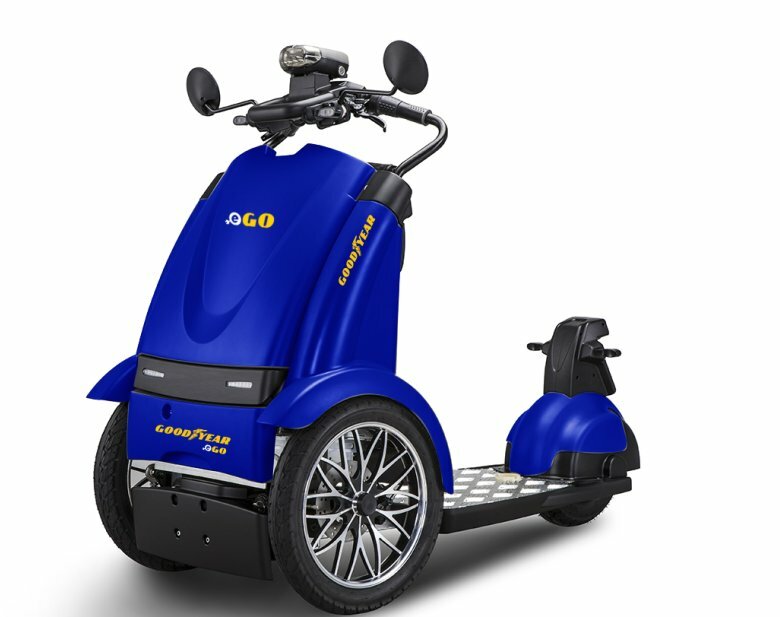 The noise-free Goodyear 3-Wheel vehicles, designed and manufactured with driving excellence and high quality in mind, can both reach the dizzy heights of 28mph/45 km. flat out. The e-Go 1 is a light stand-up vehicle easily foldable and portable, while the e-Go 2 is a steady, powerful sit down vehicle with a special absorption system which enhances the comfort of the driver. Power is from a lithium-ion battery that can be easily charged at home or outside and the vehicles have a 60 miles-range/100km range. Thanks to the two front wheels that offer enhances grip surface and help decrease the braking distance, the Goodyear 3-wheel vehicles have a stable ride and bears the innovative and reliable qualities that always resonate with any Goodyear products. The Goodyear e-Go 1 and Goodyear e-Go 2 models help to enhance mobility while saving time, money and the environment: the zero-emission petrol-free vehicles are propelled by eco-friendly and economical electric energy, enabling commuters and general consumers to avoid rush hour traffic congestion, parking hassles and parking fees. The Goodyear e-Go 1 and Goodyear e-Go 2 trendsetting vehicles, following the Goodyear heritage of innovation, are at the forefront of ‘green’ mobility and relate to the needs of urban commuters, business professionals and outdoor enthusiasts, who want to travel in an environmentally friendly style. We have a Press Release from Goodyear and a possible UK launch event in the summer. Stay tuned for a test drive and details on charging. electrive.com » BMW, Hyundai, Goodyear, BAIC, VW, Hero.